Solidly ensconced in the 30-40 demographic, comedian Todd Glass may now be considered ineligible to be labeled a wunderkind — but he certainly was one, having launched his career in comedy at age 16. Since that precocious start, the Philadelphia native has developed into a polished performer with a bent for inventive material that often mocks the conventions of standup. Todd’s comedy is often satirical, sometimes irreverent but always funny. His television appearances are many, including performances on “The Sarah Silverman Show,” “Jimmy Kimmel Live,” “Late Night with Conan O?Brien,” “Showbiz Show with David Spade,” “Tough Crowd with Colin Quinn” and “Politically Incorrect.” With his unique delivery and divergent style of witticisms, Todd quickly becomes a host and viewer favorite. 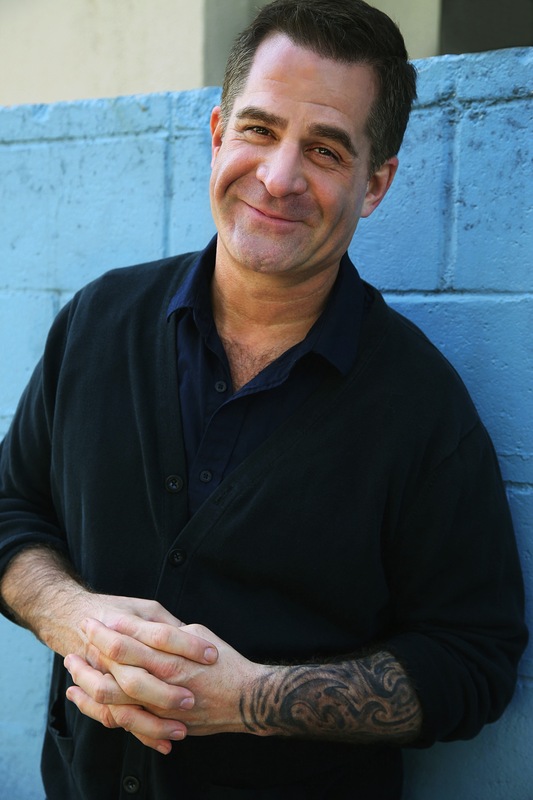 This weekend Goodnight’s Comedy Club in Raleigh will play host to the nationally regarded funnyman, Todd Glass. You have seen him on all of the late night talk shows and on the occasional episode of Tosh.0. Todd will perform 5 shows starting Thursday and wrapping up Saturday night. MAS – I recently took the opportunity to go on to Netflix and watch your comedy special. I was really impressed; I really like your comedic style. I have seen you on Tosh.0 and other stuff like that, but that is a little different. Where does your style come from, how did you develop that? Todd Glass – I guess for everybody it is a little different. For me, I guess, the more you do comedy hopefully you start talking about things that mean something to you. It doesn’t have to be social or political, although it could be. It could be, also, anything that means something to you. It’s just something personal. Maybe that is the best way to put, something personal. Personal has a wide array… it’s wide as to what personal means. I always use the example of, because it helped me when I was starting comedy, Steve Martin. He talked about something personal, even though it was silliness. It was something that was personal to him, this very unique silliness. It wasn’t a formulaic generic silliness that he tapped into, it was something personal. I think that is where it comes from, hopefully. MAS – You mentioned Steve Martin, what other comedians have you looked to for guidance, who has molded you? Todd Glass – Indirectly, probably a lot of comedians. Mostly, the things is, comedians that I always say, make me want to punch somebody that is sitting next to me or punch a wall because you are laughing so hard. They are the ones I tend to… Over the years, whether it’s comedians in my generation… Legends, like Rodney or Don Rickles guys in sort of my camp whether it is Brian Regan… I’m a big Eddie Pepitone fan. I tend to watch guys that make me want to punch somebody because I am laughing so hard. Those are that guys that probably make you. MAS – From your style of comedy, and from the material you used in your special, you are not afraid to tackle some of the more politically incorrect issues all for a little social commentary, if not satire. I have seen you do it in a way that isn’t necessarily family friendly, but also not your typical R Rated comedy. You seem to have found success in your shows with tackling these issues while keeping your show as clean as it is. I give people credit for just finding a way to be unique and funny. If you give people extra credit, if you go, “and plus your clean and that’s the hardest.” No it’s not. You are sort of saying, “Richard Pryor and George Carlin are funny alright, but you gotta admit they took the easier path”; of course not! It is sort of just who I am. MAS – Let me put my question into better context. I have done several interviews with various comedians. I have interviewed comedians that actually bill themselves as family friendly comedy. I have also interviewed comedians that are the polar opposite to that. Both styles can lead one to being a very successful comedian. I am in no position to say who has it easier and who has it harder but, those two styles are so dramatically different you have to appreciate a comic that has chosen to do things that way. Why did they choose to do things that way? Todd Glass – If they are a good comedian, they didn’t choose it. Maybe, it is just who they are. It’s like people that don’t do comedy, they might not choose to be who they are, but it is part of who they are. So I think it is just representing what makes them laugh, if you are doing it right. I think whenever you decide to please an audience, and give them what they want; it is probably a sure sign if you are not really enjoying yourself onstage. It’s like if you were doing artwork and you were painting and I ask, “What do you do?” You answer, “Well, I try to figure out what people like, and then I paint it.” Well, is that fun? MAS – I am hearing that you like to do what pleases you and if somebody else finds it funny, great. Todd Glass – I do want to make a living doing this, but I think the ultimate goal is go onstage each night and express what is in your heart and what you feel and at the same time you find an audience that appreciates it.